Agile Cigar Reviews are cigar assessments where we use a lightweight, shorter format. These will never take the place of our comprehensive reviews. They are only used on blends we have previously assessed. This might be a blend we are re-scoring or giving a score for the first time. It might be a blend we are looking at in a different size. 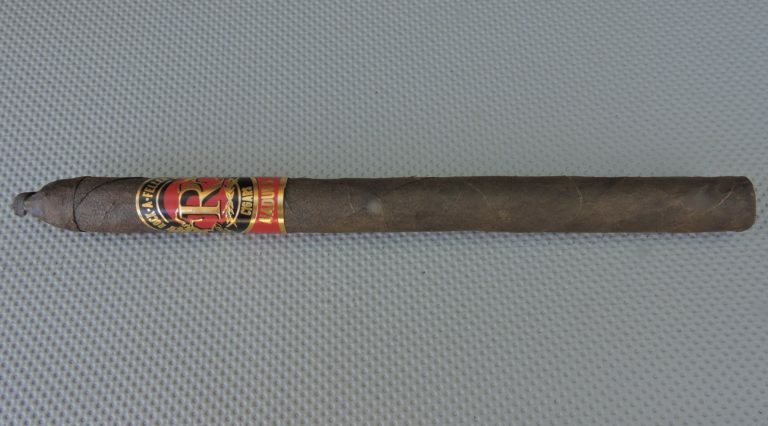 Today we look at the Rock-A-Feller Vintage Red Label Maduro in the Lancero size. This is a cigar we previously assessed back in August 2017 in the Churchill size. 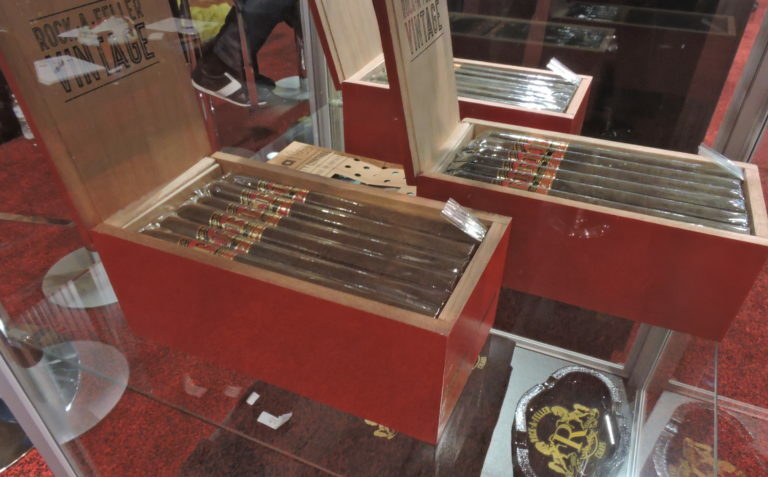 At the 2016 IPCPR Trade Show, Kevin Schweitzer‘s Vintage Rock-A-Feller Cigar Group showcased a 7 x 38 vitola in its Rock-A-Feller Vintage Red Label Maduro. Rock-A-Feller Cigars makes cigars in both the Dominican Republic and Nicaragua. The Red Label is one of three blends in the Vintage Nicaraguan line. In addition to Red Label (Maduro), there is a White Label (Nicaraguan Habano), and Blue Label (Connecticut Shade) offering. For the past couple of years, the company has put a heavy push on its Red Label line – and the Lancero becomes the latest to be showcased. The blend of the Rock-A-Feller Vintage Red Label Maduro consists of a San Andres Maduro wrapper over an Ecuadorian Binder and an all-Nicaraguan filler. Production for the Red Label Maduro comes out of the American Caribbean Cigars factory in Estelí, Nicaragua. The lancero is a classic 7 x 38 vitola – complete with a pig-tail. There are also several other sizes offered in the line including: Churchill, Robusto, Toro, Box Pressed Toro, Toro Gordo, and Torpedo. The Rock-A-Feller Red Label Maduro Lancero delivered a flavor profile of dark chocolate, cedar, black pepper, mineral, dried fruit, and earth. The first third of the cigar saw the dark chocolate notes in control with the mineral notes occasionally popping into the forefront. The earth and dried fruit notes surfaced in the second third. In the second half, both of these notes would displace the chocolate in the forefront. There also was an increase in cedar and pepper in the second half, but it never overwhelmed the flavor profile. There was a little harshness at the end, but by that point, it was time to put down the cigar. Flavor-wise the cigar started out medium-bodied before progressing to medium to full in the second half. This was countered by medium strength. The construction was excellent on this cigar and it was reflected on the burn and draw. The draw had a touch of resistance which is something that I like. I also found this cigar consistently delivered a low maintenance burn – resulting in this cigar scoring our highest assessment level for burn – “exceptional”. I’m impressed with the Rock-A-Feller Red Label Maduro Churchill. While a lancero isn’t usually a go-to cigar for me, when it comes to this blend, it just might now be my vitola of choice. This cigar delivered a nice amount of complexity, and it kept me interested from start to finish. It’s a cigar I’d recommend to an experienced cigar enthusiast or a novice looking for something in the medium/medium plus range. As for me, it’s a cigar I think garners box worthy consideration. Cigars are now at Barclay Rex!